Former South Africa President Nelson Mandela, 93 has undergone a "diagnostic procedure" in hospital, but his life is not in danger, officials say. Mr Mandela was treated for a long-standing abdominal complaint and is expected to be released from hospital by Monday, a government statement said. 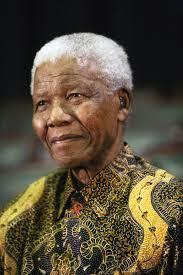 Mandela's health has declined in recent years and he rarely appears in public. Mr Mandela retired from public life eight years ago - his last public appearance was at the World Cup in South Africa in 2010.